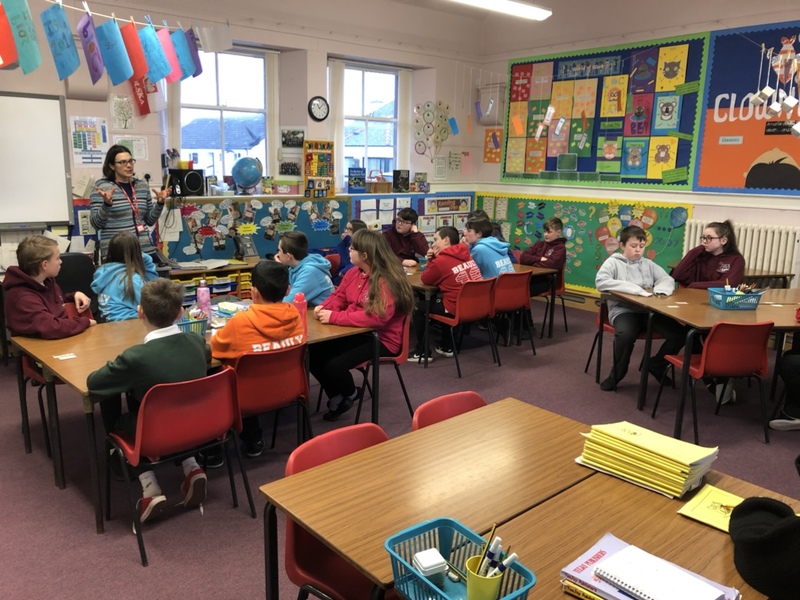 As part of their learning on Developing the Young Workforce (DYW) P7 enjoyed an interesting and informative talk from Dr Jenny Renaud from Aird Medical Practice. 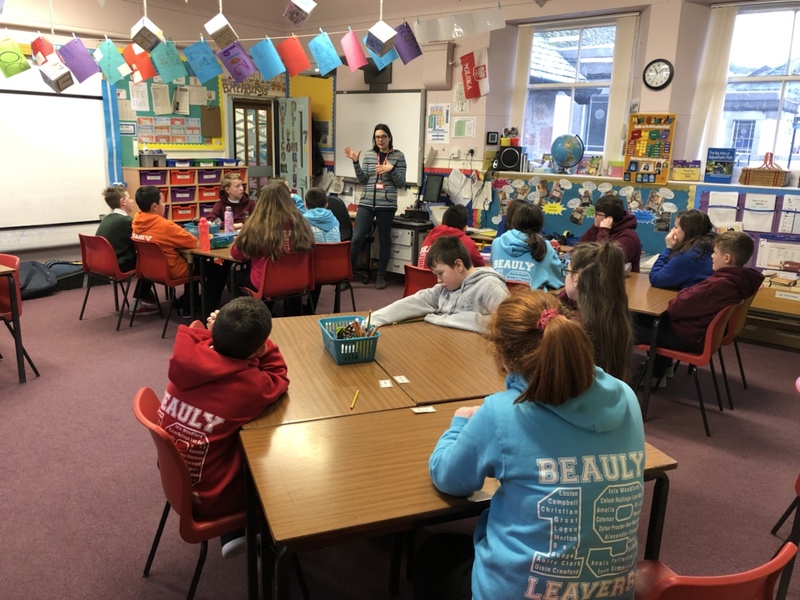 The pupils heard about the path Dr Renaud took in order to become a GP and then enjoyed asking her lots of thoughtful questions. 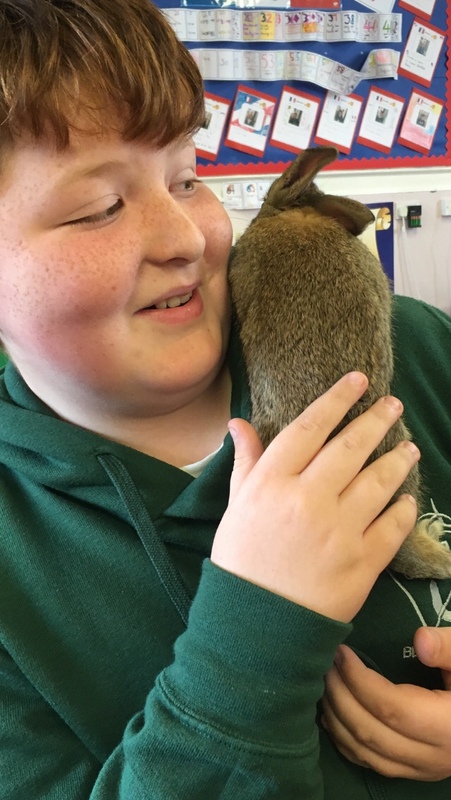 We may have a few of the world’s future GPs in our class. 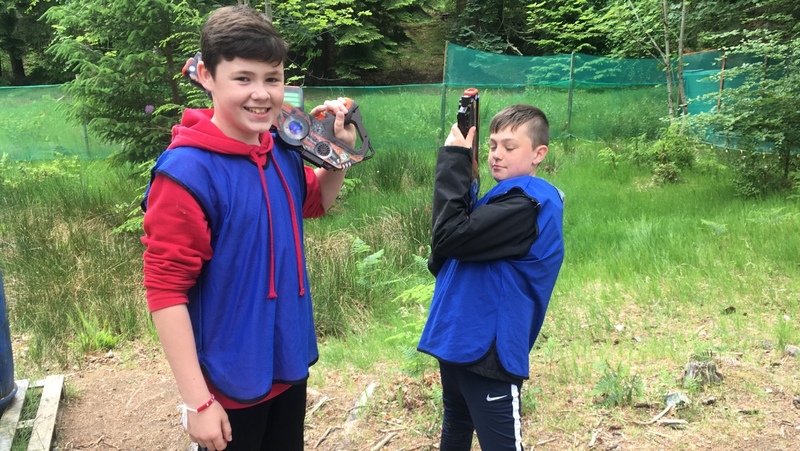 Starting as we mean to go on. 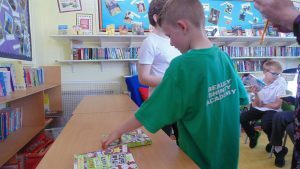 The new Primary 7 class on their first ‘Daily 10’ this afternoon. 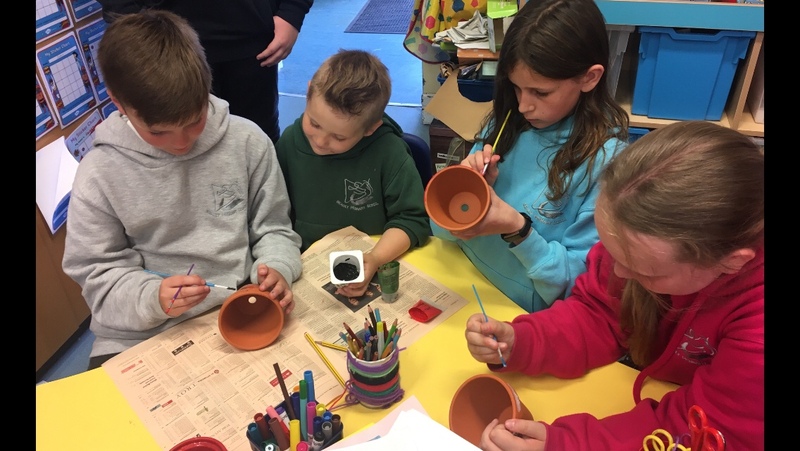 Please remember that P7 will be going to Charleston again tomorrow, leaving from BPS at 9.10am. 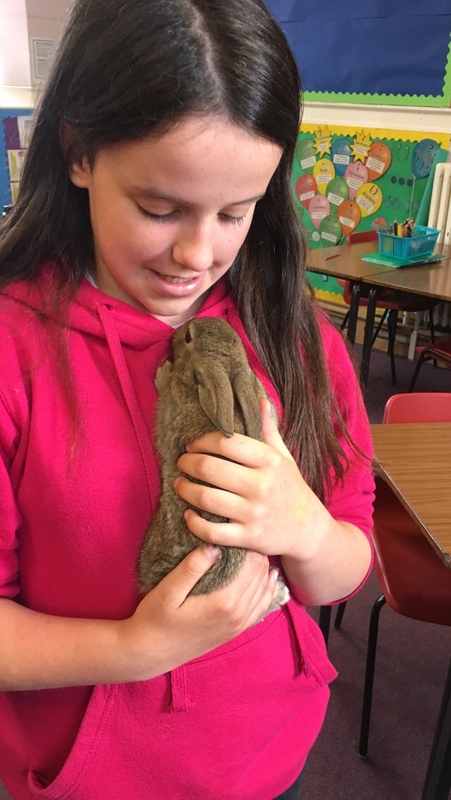 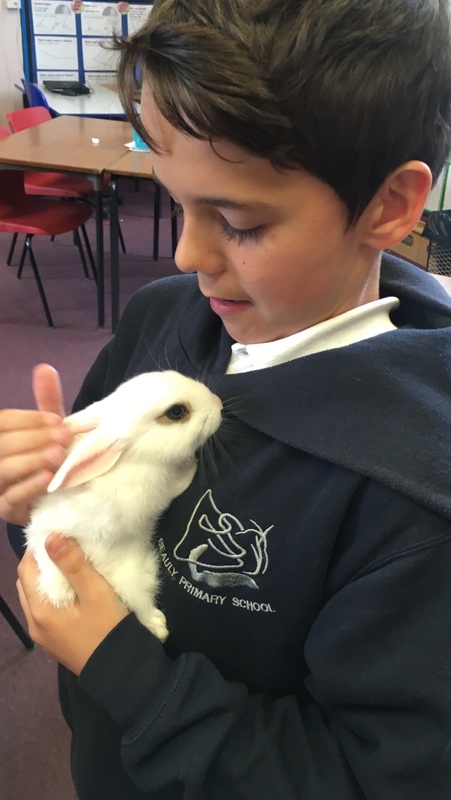 Thank you to Jack’s Mum for bringing 5 very cute bunnies to see us in P7. 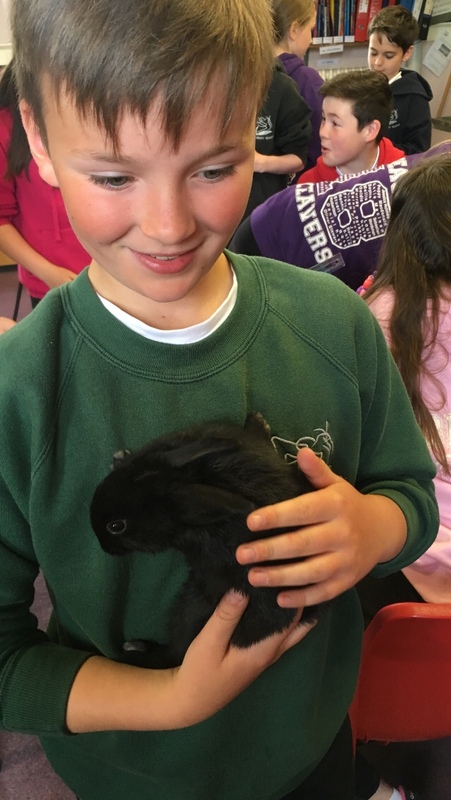 One nearly ended up coming home with me…! 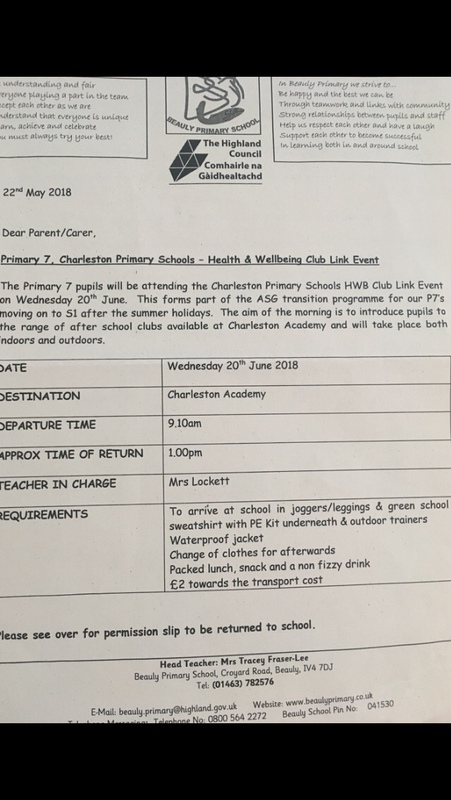 Please remember that the P7s will be going to Charleston on Wednesday morning of next week. 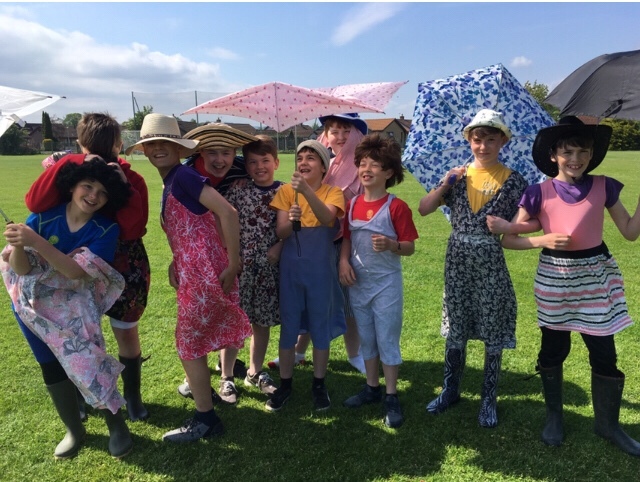 They will need to wear green sweatshirts and joggers with PE kit underneath. 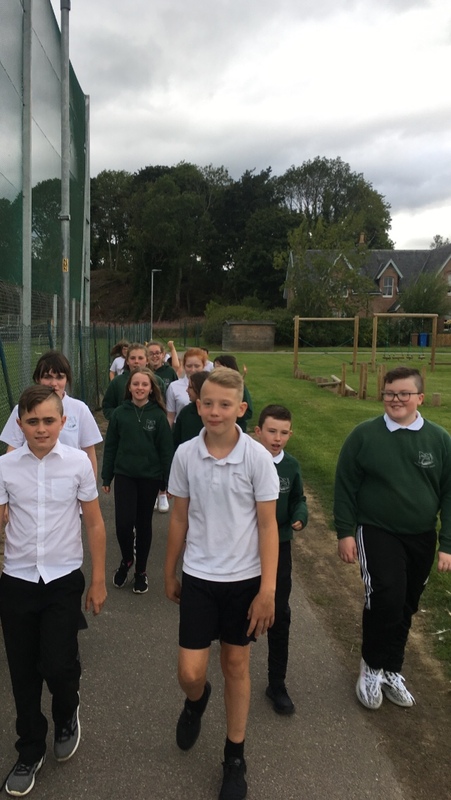 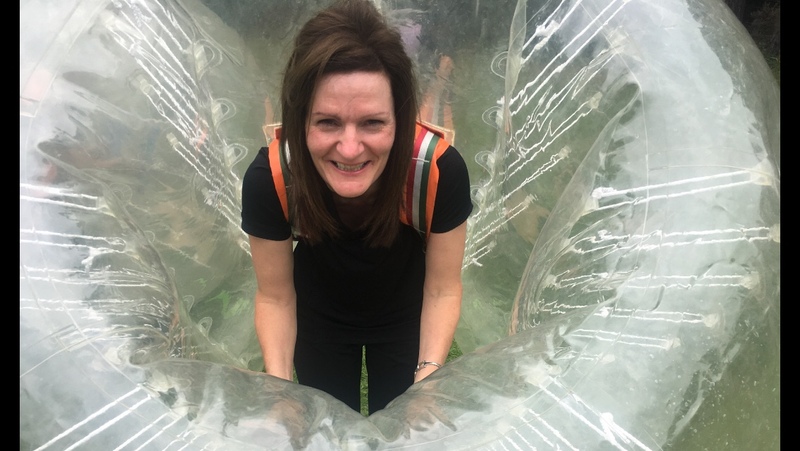 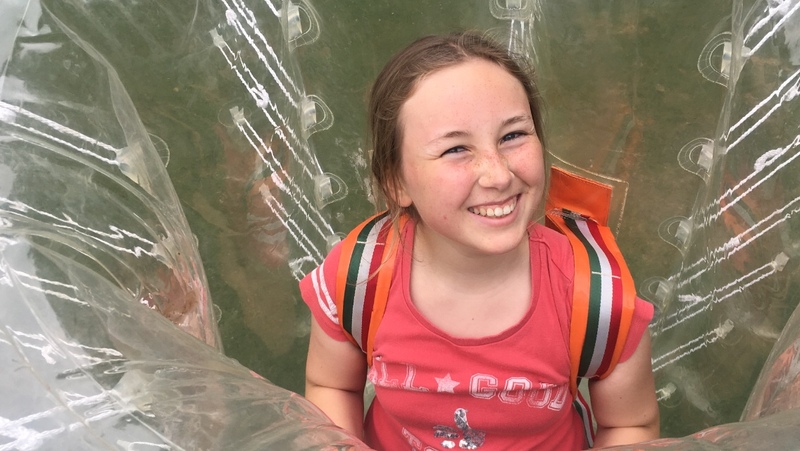 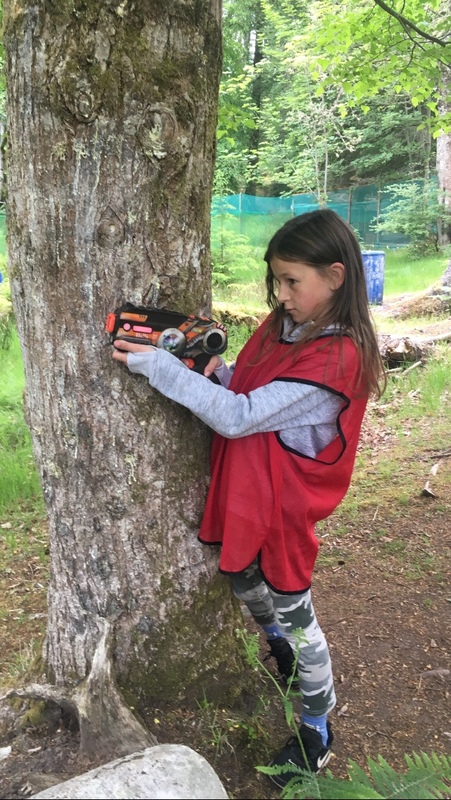 They will need indoor and outdoor trainers, a waterproof jacket, a change of clothes for afterwards, packed lunch, snack and a non-fizzy drink. 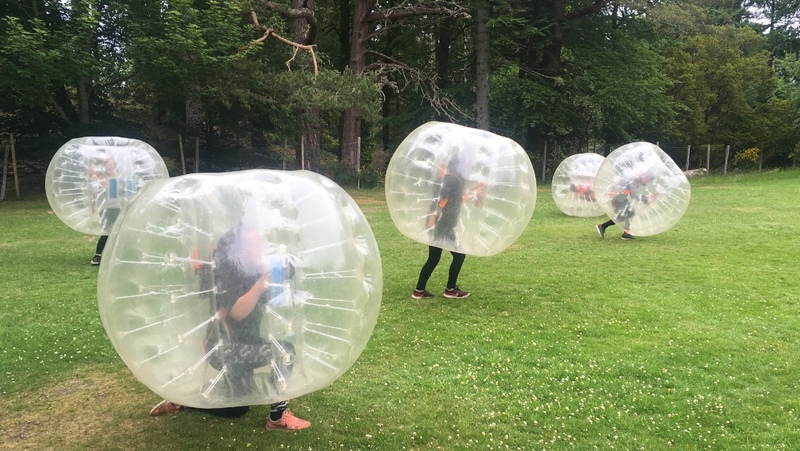 Bubble football and laser tag have really brought out the competitive sides of the P7s, and Tracey, this morning. 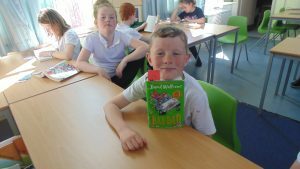 A big Thank You From The Eco Group. 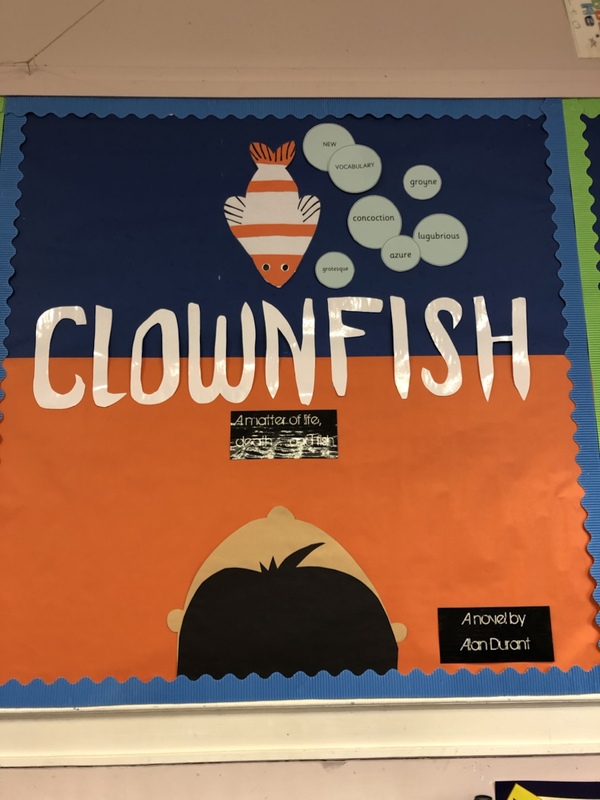 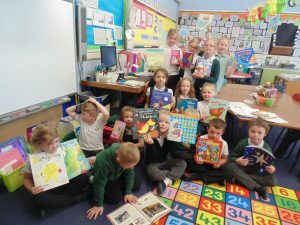 The Eco group would like to give a big thank you to all the pupils and parents who helped make our book swap last Thursday such a big success. 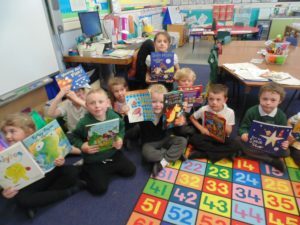 We are happy to report that all children who brought a book from home left with a new book and story to enjoy. 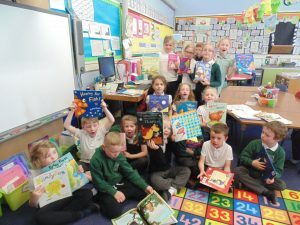 Here are some photos of very happy and excited children with their newly swapped books. 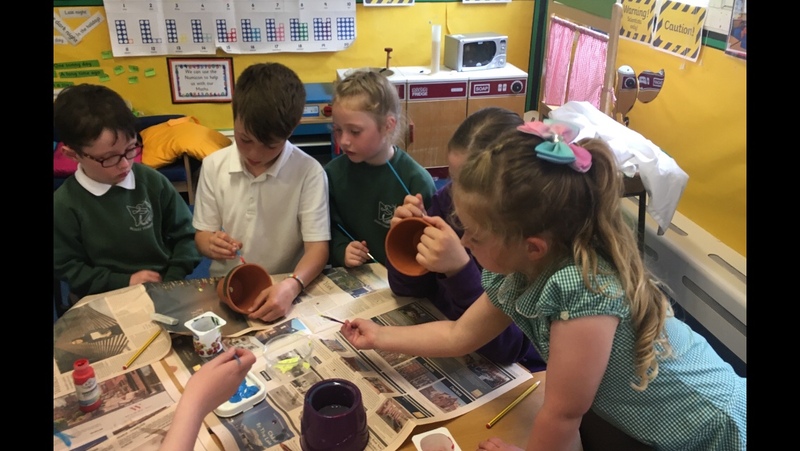 Primaries 1 and 7 worked together today on wares for the summer fair. 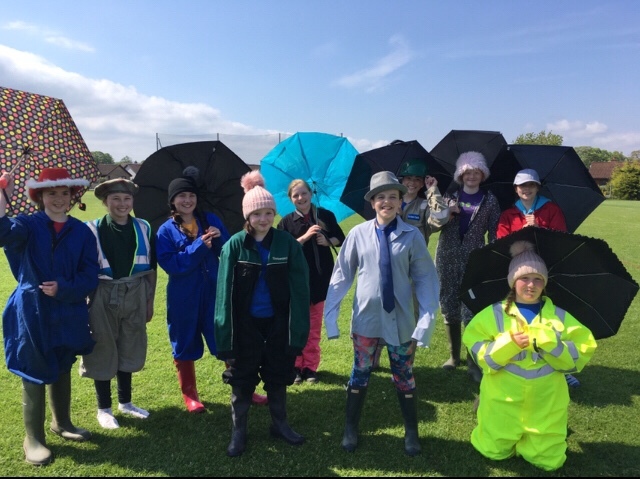 The P7s enjoyed their fancy dress obstacle course today!